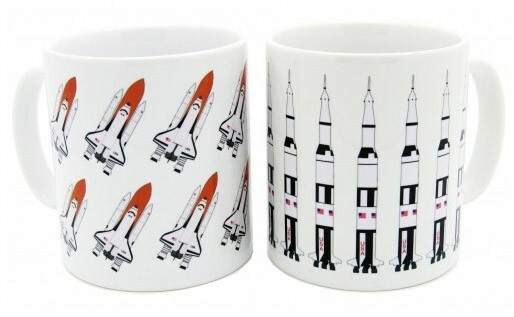 Space Travel 2 Mug Set by Robert William - spacekids - space toys, dressing up costumes, kids spacesuits, astronaut food, cool space stuff! 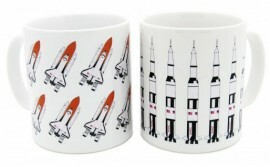 A great 2 Mug Space Travel Themed Set by Robert William. Featuring Space Shuttle and Saturn V Rocket designs. Ceramic mugs with a 10oz / 284ml capacity and microwave and dishwasher safe.